For the next 20 years, Cain made his way in a profession in which he displayed vague talent but no distinction. His reporting from the West Virginia coal country moved him to try a novel, but when three drafts made him cringe, he was convinced he was no novelist. He tried the life of a freelance journalist, teaching English composition at a local college to pay the bills. For H. L. Mencken’s The American Mercury, he wrote satirical dialogues, mostly in mock-rural dialect—which read like imitation Ring Lardner. He wrote debunking articles—which read like imitation Mencken. His best work was as an anonymous editorialist for the New York World, where he worked for seven years under Walter Lippmann. When the World was sold, Cain scrambled to become managing editor of The New Yorker, where he was charged with the Sisyphean task of organizing the magazine’s notoriously disorganized hick-sophisticate editor, Harold Ross. Nine months into the job, in November 1931, Cain was begging his agent to wrangle him a gig in Hollywood: with the advent of talkies, the studios were hungry for wordsmiths. By 3 o’clock that same afternoon, Cain had a deal with Paramount for twice his New Yorker salary. Los Angeles was to utterly change Cain’s fortunes. Not that he succeeded in his new career path: after six months, Paramount dropped his contract. Months later, Columbia finally picked him up (for half his Paramount pay), but he lasted only six weeks. After barely a year in Hollywood, he was once again unemployed and broke. But he had taken to his new home. Though the studios had fired him, his intelligence at assessing scripts impressed his bosses—even the hideous Harry Cohn. For his part, Cain, far from lapsing into the East Coast writer’s unlovely habit of bad-mouthing the picture makers for stifling his imagination, returned the esteem. As he wrote for The American Mercury, “I have never worked any place where courtesy was more in evidence than on a movie lot, or where daily contacts were more pleasant.” He liked the camaraderie of an army of intensely skilled people working on tight production schedules at breakneck speed. Cain wanted to succeed at writing for the pictures; he had a jaundiced admiration of moviemaking, and studied it assiduously to comprehend how the studios, shot by shot, sequence by sequence, created a new type of brisk and efficient storytelling. Countless writers have blamed Hollywood for ruining them creatively. Its impact on Cain was just the opposite. After all, there’s nothing like writing for the pictures to impose the discipline of showing, not telling. And the movies taught Cain a new style that suited him—a style that prized tautness, compression, and a cool point of view. If Cain’s understanding of the literary value of picture making was rare for a writer, even more so was his appreciation of his new surroundings. Just as hipsters today use white pejoratively, denoting sterile, bland, non-ethnic suburbia, so sophisticates in Cain’s day enjoyed skewering Los Angeles—America’s whitest, most Protestant, most bourgeois big city—as an artificial tropic teeming with displaced rubes, an opinion Frank Lloyd Wright neatly encapsulated in his contemptuous remark, “It is as if you tipped the U.S. up, so that all the commonplace people slid down to Southern California.” So conditioned, writer after writer churned out the same derisive commentary on Los Angeles. Cain, though, saw the place with fresh eyes—and perhaps more important, heard it with fresh ears. After a year in Los Angeles, Cain wrote an article, “Paradise,” for The American Mercury, a piece that he always said was the best he’d ever written and that Mencken judged correctly as “the first really good article on California that has ever been done.” Cain acknowledged all of Southern California’s wacky shortcomings, its indifferent restaurants, and its un-urbane urban life, but he took in the place with a discerning appreciation. To start, he observed precisely and without prejudice its topography, flora, climate, and above all, light. Cain, a musical connoisseur, understood that the region’s high-minded WASPs had actually developed a refined musical culture (one rooted in the tradition of ambitious church-based choral music). He grasped that the lower-middle-class former midwesterners who defined the place may have engaged in flimsy occupations, but they offered Los Angeles’s relatively few indigents “genuinely humane treatment,” and they excelled at providing “things that require an effective communal effort”—roads (a subject on which Cain, thanks to his pre-writing life, was an expert), recreational facilities (he rightly marveled at the number of public tennis courts; thousands of them were built in the 1930s), and, especially, public schools, which he rated the best in the country (as a family man whose stepchildren thrived in their new home, Cain recognized certain attributes, such as “a cleanliness hardly to be matched elsewhere,” that were perhaps lost on more-footloose writers). Although he had no job to keep him there, Cain stayed. At the nadir of the Depression, middle-aged, washed up in the newspaper business, Cain wrote a novel in six months. He opened The Postman Always Rings Twice with what has become one of the most famous first sentences in American fiction: “They threw me off the hay truck about noon.” From there, the tale of lust and murder in Southern California hurtled forward with unfaltering momentum. Tight, oblique, and knowing, written in an artful arrangement of colloquialisms, terse understatement, detached description, and casually precise vernacular, the book established a new style (Edmund Wilson would put Cain at the head of the list of hard-boiled West Coast writers he dubbed “The Boys in the Back Room”). Cain got everything he wanted, all at once. An immediate best seller, the book has remained in print for 77 years. It would inspire Camus’ The Stranger and Visconti’s Ossessione. Doubtless more important for Cain, it brought Hollywood calling. The book sold to MGM, and convinced the studios that this most cinematic of novelists could write for the pictures. In fact he never could—even though in his lifetime nine of his works of fiction were made into movies (and of course, the adaptation of his Double Indemnity, screenplay by Billy Wilder and Raymond Chandler, remains one of the best American movies ever made), Cain’s screenwriting credits, all shared, add up to three pictures. But he made himself into a journeyman script doctor, and the studios provided him with a more or less steady cash flow until Cain returned to the East (to Maryland, “the churlish little state from which I fled”), in 1948. That was a move he came to rue: although his career as a novelist staggered into the 1970s, Cain had written all his lasting fiction, as the critic Robert Polito notes, in the 17 years he lived in Los Angeles. That place made Cain into a writer, and he repaid the favor. Southern California has been blessed with a host of great nonfiction chroniclers—Carey McWilliams, Reyner Banham, and Joan Didion among them. But it has been rendered in very little great fiction. Cain’s three novels of Depression-era Los Angeles—Postman (1934), Double Indemnity (published serially in 1936), and Mildred Pierce (1941)—top the list. The first two—compressed, fast-paced—depict the city keenly but elliptically. In Mildred Pierce, Cain wrote the great Los Angeles novel, and although the world it evokes is all but lost, it’s a world that remains in the DNA of the place. THOSE WHO KNOW Mildred Pierce only from Joan Crawford’s over-the-top star turn in the glossy 1945 Warner Bros. adaptation will be puzzled by the opening of HBO’s remarkably faithful adaptation of Cain’s novel, directed by Todd Haynes (Safe, Far From Heaven) and starring Kate Winslet. Rather than a murder (which didn’t happen in the book), and Crawford’s giant mid-’40s shoulder pads, we see a woman’s expert hands making pies in the kitchen of a Spanish-style bungalow in 1931, while a man finishes his yard work outside. Haynes efficiently captures the domestic commonplaceness and the reverberations of a momentous decade that lie at the center of Cain’s book. In writing Mildred Pierce, Cain had two problems. He failed abjectly with one—a satisfactory plot resolution, about which more later—but succeeded with the other. Cain knew vaguely that he wanted to write a novel about a woman. But over the years he made false starts in which his protagonist was first a stewardess and then a beauty contestant. Finally, he hit upon an ordinary but fertile character and situation: a middle-class Los Angeles housewife who, at the beginning of the Depression, finds that she has become (as her neighbor puts it) “the great American institution that never gets mentioned on the Fourth of July—a grass widow with two small children to support.” Cain recognized that the indifference of men and society to this common plight was “a great social injustice.” And few novels have given a more contemptuous picture of male fecklessness (one made all the more damning by the book’s tone of tolerant resignation); with a cold eye, Cain dissected the ways the economic collapse had altered relations between the sexes. But ultimately these weren’t his concerns, for he recognized that “a good-looking girl in an awful spot” was “the surest formula” for a story, and this story allowed Cain to explore themes he had discerned since his move to L.A. Whereas Cain had concentrated the action of Postman and Double Indemnity into a narrow time frame, Mildred Pierce stretches across the Great Depression (both the book and Haynes’s production open in 1931, the eve of its bleakest year); and whereas Cain had kept those previous novels spare, here with cumulative detail he created a panorama of petit bourgeois Los Angeles. 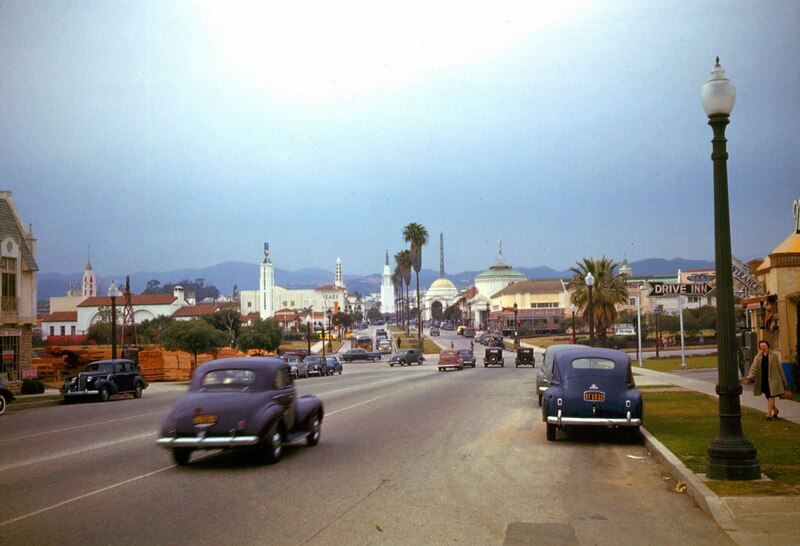 Cain set his novel in unglamorous Glendale, perhaps the quintessential L.A. community (which McWilliams nicely defined in 1946 as “lily-white and white-collar, made up of middle-class and lower-middle-class elements”). 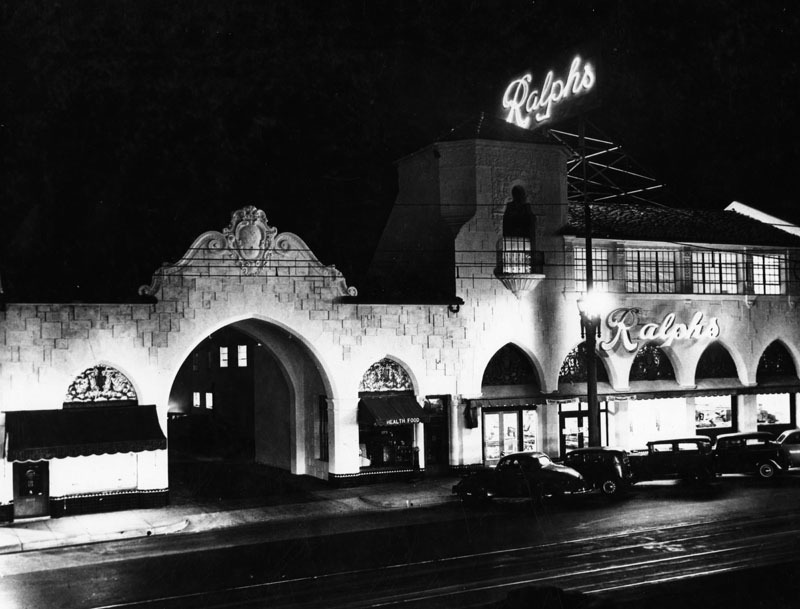 His ruthlessly unsentimental tale of the Depression’s impact on Mildred and of her efforts to build a restaurant business made vivid the twin pillars of Los Angeles life, the self-owned free-standing house (L.A. had more of them than any other American city) and the small entrepreneur. The progress of Mildred’s married life is tied inextricably to the home-owning instinct, the defining force behind L.A.’s development and character. Both the novel and HBO’s production lavishly detail the cynosures of the L.A. house, the kitchen and the bathroom, which were “built with the best of skill, and polished with the utmost care,” as Cain pointed out in “Paradise,” largely because cleanliness, functionality, and convenience were prized by L.A.’s unusually servant-less middle class (the most Anglo-Saxon major city, Los Angeles had a relatively tiny population of immigrants to draw on for domestic work). 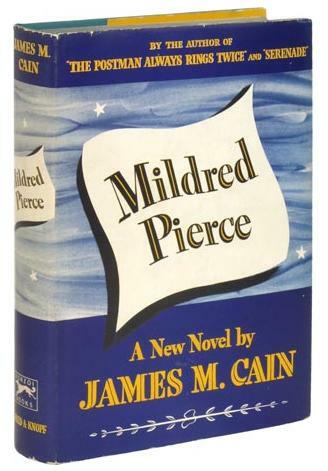 Moreover, in Mildred Pierce, Cain wrote the greatest work of American fiction about small business. He made compelling the intricacies of real-estate deals and cash flow, of business planning and bank loans, and of relations with suppliers and customers. (“She had a talent for quiet flirtation,” as Cain explained Mildred’s technique, “but found that this didn’t pay. Serving a man food, apparently, was in itself an ancient intimacy; going beyond it made him uncomfortable, and sounded a trivial note in what was essentially a solemn relationship.”) He rendered the plodding method and the fundamental gamble of small-time commerce—the foundation of Los Angeles’s service-oriented economy—not just absorbing but romantic. Cain didn’t condescend to Mildred—she’s tough, not plucky—but nor would he grant her any distinction (he can’t resist needling her—see his almost parodic explanation of her daughters’ astrologically derived names). Comparisons of Winslet’s performance with Crawford’s are inevitable, and all are settled in Winslet’s favor. Crawford’s—brittle, histrionic—is all Joan Crawford. Winslet’s—with a slightly slouching stance and flat-footed trudge, animated movements graceless in their doggedness, and a shrewd but charmless affect—is all Mildred. Winslet delivers a faithful performance in what is a consistently faithful adaptation. And this is too bad, for Mildred Pierce is one of the great failures of American fiction. Cain wrote four drafts of the novel, and each time, he recalled, almost on cue, on page 254, the book “fell apart right in front of my eyes.” That was where Mildred’s snobbishly monstrous daughter, Veda, came to the fore. Cain had created a vivid, unconventional heroine, put her in a situation all but untreated in contemporary fiction, and set his novel in a rich milieu that he grasped with unique perspicacity. But when the action starts revolving around Veda and her implausible emergence as a preternaturally gifted coloratura soprano (! ), the novel lurches into lurid melodrama—a disastrous turn that was surely rooted in Cain’s thwarted musical ambitions. The sad upshot: an exquisitely produced, impeccably cast miniseries that renders with great fidelity a novel that squandered its enormous strengths.